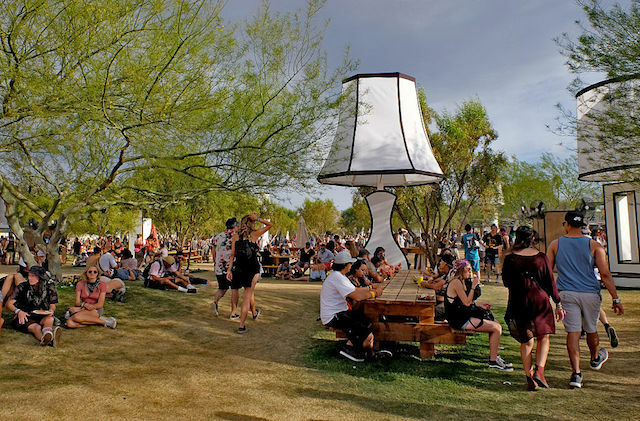 It&apos;s fairly easy to lose things at Coachella. There&apos;s the searing heat, the unpredictable winds, the deafening music, the illicit substances, and so forth and so forth. With so many distractions, it&apos;s not uncommon for festival goers to lose a pair of Ray Bans or a beloved Domo keychain. If you&apos;re among the bereft, there may be a ray of light for you. Goldenvoice has apparently opened accounts on Crowdfind, which touts itself as "the world&apos;s first virtual lost and found," reports the Pasadena Star-News. There are two accounts, one for weekend one of the festival, and another for weekend two. There are approximately 500 items in each bin. Driver&apos;s licenses were, by far, the most popular items on the site. Keys, sunglasses, vapes, and phones (with cracked screens) are also plentiful. We are glad to report that one of Crowdfind&apos;s search categories—"persons"—yielded no results. If you happen to spot an item that belongs to you, you will be asked to describe a distinctive feature of the item, provide an email, and submit your name. You will then be connected with whoever has your item. As we&apos;ve reported in the past, lost items are not limited to physical possessions. There are also matters of the heart, as "missed connections" postings are a big thing at Coachella.